The Great War. A Great Game. HIGH Operations Mode is incredible. LOW Some balancing issues with assault class. As an American, World War I is a bit strange to me. Our pop culture and education seem more obsessed about WWII than the first Great War, and I actually feel a bit embarrassed with how little I know about it. I can name WW2 battles, list the countries who fought, where they fought, how the war ended and so on, but not so with its predecessor. This lack of knowledge is why I was both excited and nervous about Battlefield 1. I was excited to play a game based on a period of history that I rarely get to see in videogames, but nervous as hell to write about it because I know this war means a lot to people around the world in ways I’ll never fully understand. To its credit, Battlefield 1’s depiction of World War 1 and how it discusses the subject are more somber and respectful than I expected. The Battlefield series has long been chasing Call of Duty’s campaigns, and that often led to bland writing and attempts at epic-slash-global stories. Hell, most people’s favorite in the series, Bad Company 2, is a series of jokes set during a war. No so with BF1. Instead, the script often mentions the futility of war and how awful it is… Even how many people died. 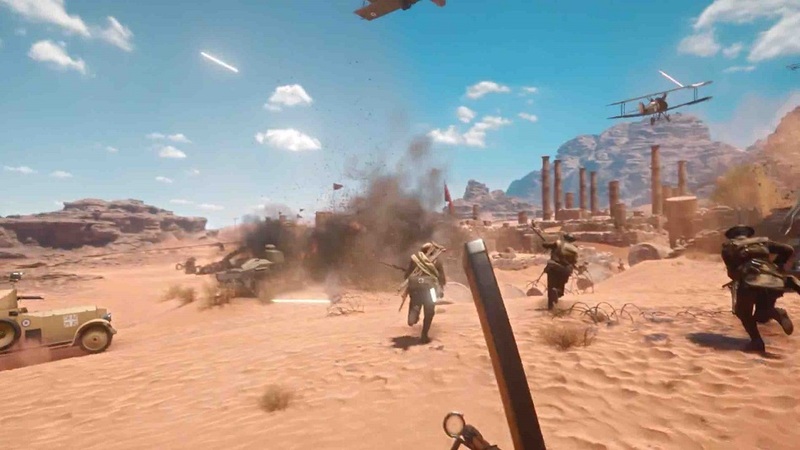 Breaking away from the Call of Duty mold in other ways, Battlefield 1 does something different with its campaign by giving the player a series of vignettes that can be chosen in any order. None of these short stories will take more than two hours to finish, but this brevity means that Battlefield 1 cuts out the long slogs of boring combat that some modern shooter campaigns feel stuffed with. Every ten minutes I was moving on and doing something new, and it’s excellent. One moment I was in a tank, the next I was sneaking into a town, and then the next I was a carrier pigeon. The pacing is fantastic, and I never felt bored or caught myself looking at my phone. It’s not just the pacing and the diverse activities in the campaign that kept me hooked, but also the narrative of each short sequence. The stories are simple, personal, and never feel ‘epic’. They focus on a small group of people, usually no more than three or four, trying to accomplish something. There’s a green recruit just trying to stay alive, an old vet reaching the end of his journey, a man looking for his brother, a woman fighting for her freedom, and a con artist becoming something more than what he started off as. They aren’t terribly new ideas — I predicted the ending for most well before I reached the conclusions — but I’ll take an old idea done well over a confusing idea done poorly. The most disappointing part of the campaign was the Harlem Hellfighter sequence that starts things off. The Hellfighters were a black infantry regiment from New York, and I was interested in seeing more about them. Unfortunately, as quickly as the game introduces them, it leaves them dead in the mud. Literally. Having the Hellfighters featured is nice, but doing nothing with them is a poor decision and a missed opportunity. While the campaign is (mostly) a well-made singleplayer experience, it also doubles as a way to learn the game’s various mechanics and get prepared for the multiplayer. However, as good as it is, I wish there was a better tutorial specifically for the multiplayer. I had a basic knowledge of Battlefield 1’s online mode from past experience, but it does a really poor job of explaining anything to those who might be brand-spanking new. Once the player does understand what’s going on, they should get ready for a chaotic and intense experience. 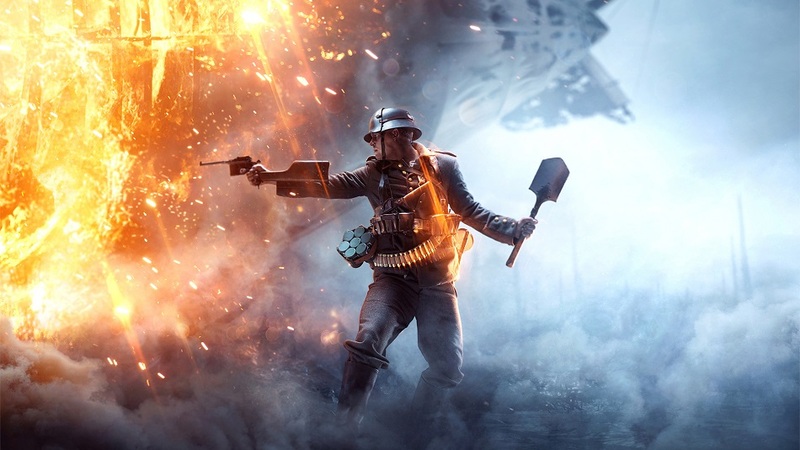 Battlefield’s multiplayer has always felt like this, but BF1 ramps it up. Explosions are bigger and louder, guns are brutal and messy, grenades are scary, tanks are large and feel indestructible, giant airships made me hide, huge battleships bombard players with explosions, horses trampled over me, players charged at me and ran me through with their bayonet and gas grenades forced me into a claustrophobic mask. …And there’s more. A lot more. But, the point is that multiplayer in BF1 is exciting and terrifying in a ways no other BF has been. One of my favorite new additions is the ability to charge with a bayonet. There are few things that feel as good in gaming as when I’d run my blade into an unsuspecting enemy. It’s incredibly brutal, and those who are normally subdued may find themselves shouting and swearing in the thick of it. The classic Battlefield modes are still on offer in BF1, but another new add is Operations. In this mode, one side attacks and the other defends. The attackers have a limited number of spawns but the defenders have no such limit. The map is split into a series of sectors, and each one has a few points to be captured. Operations combines all of the parts of Battlefield I enjoy into one singular mode, and I found it hard to go back to any other game type once I got hooked on this one. It really is one of the best parts of BF1, and a mode that I hope future Battlefield games include. While Battlefield 1’s multiplayer is one of the best in the franchise’s history, there are some parts of it that stand out as frustrating. One of my biggest gripes is that the assault class is garbage. Its weapons are out-ranged by other classes, it has no way to help teammates, it can’t give ammo, or health, or fix tanks… It just shoots, and doesn’t even do that all too well. Another issue is that unlocking weapons is a dice roll. Battlefield 1 gives a bit of info about each weapon, but there’s no way to test them or watch a video of a weapon being used. Some way to test out weapons before spending in-game cash to unlock them would be a smart addition. It was also strange to see a loot system. At the end of each match, a few players are randomly given a box that could contain a weapon skin. That’s it. Most of the skins are barely noticeable and many were ugly. It seems like a dashed-off, inconsequential addition and EA seems to agree with me, as there’s no way to buy loot boxes in-game. Disclosures: This game is developed by EA DICE and published by EA. It is currently available on PS4, Xbox One and Windows PC. This copy of the game was obtained via Publisher and reviewed on the PS4. Approximately 7 hours of play were devoted to the single-player mode, and the game was completed. 16.5 hours of play were spent in multiplayer modes. Parents: According to the ESRB, this game is rated M for Mature and contains Blood, Strong Language and Violence. This is a violent game. People are stabbed and shot constantly. Swearing is done throughout the game. Dead bodies are numerous. Deaf & Hard of Hearing Gamers: BF1 could be difficult to play without the ability to hear some things, like footsteps coming from behind or sniper shots getting close. Some onscreen information alerts players to some things, but not all dangers are highlighted on screen. Remappable Controls: No. There are no remappable controls, but players can choose from a series of different controller schemes and can fine-tune multiple levels of zooming and movement. Colorblind Modes: Yes, there are colorblind modes available in the options. I’m not colorblind so I can’t say for sure, but the amount of options are large. Different colors can be set for different hud elements, and there are presets available for those who don’t want to tweak everything.